The battle cry of the Reformation (and even secular humanism) was ad fontes. The necessary "returning to the sources" fueled a passionate revival in the church's theology and worship. Over and over, the church has returned to the texts of Scripture to refine its thinking. As editor Sarah Glahn notes, "the issue of gender roles in the church and society is a hot topic" (16). Instead of burrowing our heads into the sand of tradition, individuals who confess the inerrancy of God's word and its eternal authority over us must return in reexamination of the sacred texts. Specifically, in the case of Vindicating the Vixens: Revisiting Sexualized, Vilified, and Marginalized Women in the Bible, the texts in question for reexamination involve stories of women oft belittled or misunderstood due to cultural stigma or poor scholarship. To that end, Sarah Glahn has brought together a diverse group of scholars who affirm "the original text is authoritative, reliable, and useful in all that it teaches" (22). Each chapter of Vindicating the Vixens explores a different female character. The three overarching categories are "The Women in Jesus's Genealogy: More Than Redeemed Sinners" (chapters 1 through 5), "A Survey of Sexualized, Vilified, and Marginalized Women of the Bible" (chapters 6 through 11), and "Some New Testament Women Revisited" (chapters 12-14). The briefness of the chapters allows each author to dig into the technical aspects of each character's narrative while engaging in practical emotional, psychological, and social applications. Though the contributors do not agree with one another—and neither will every reader—the importance of determining "what the text says" (16) is evident in each page. Many historical interpretations are shown to be objectionable for historical, textual, or other reasons. While this foundation shaking may upset some, it's important to recall the purpose of once again subjecting tradition—even traditional theology or exegesis—to the Scriptures. The spirit of the reexamination is sometimes more important than the resulting conclusions which some will find new and others quite old. 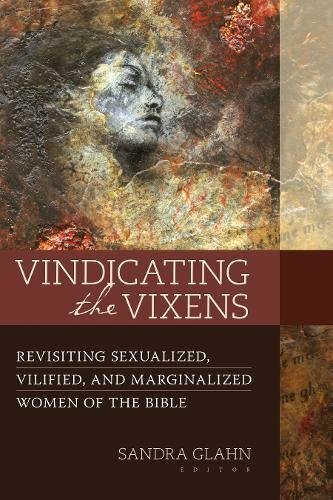 In conclusion, Vindicating the Vixens: Revisiting Sexualized, Vilified, and Marginalized Women in the Bible is a well written, comprehensive, and crucial look at biblical texts that so often get glazed over in conservative circles. The scholarship is on point (although at times dry) without getting buried in obscurity. Filled with fiery passion for the truth in God's word, practical application is present throughout. The book avails itself to all students of God's word.